Our 2015 Annual Report is fresh off the presses with a new look and expanded content. You will find a preview of the report below, but make sure to view the full report to learn how your support is having a positive impact on the Ausable River watershed. Tailored to you, our members, we've expanded our coverage to better illustrate the difference your support makes for the Ausable River, its tributaries, wildlife, water quality and its human communities. 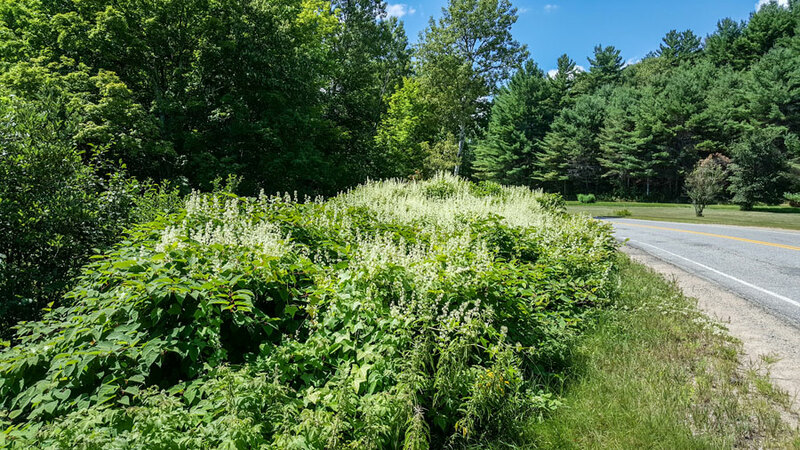 Read on to learn about our efforts to prevent the spread of invasive species, discover new details about road salt impacts on Mirror Lake, and rejoice with brook trout, wildlife, and human communities benefiting from our latest restoration efforts. AsRA’s staff reaches out to and informs donors and supporters through a variety of public media. Our website is a valuable and growing resource hosting detailed information for Ausable watershed residents, visitors, students, researchers, town leaders, and more. Our Facebook and Instagram followers increase, as does the number of subscribers to our monthly electronic Voice of the River mailing. Our goal is to keep our supporters up-to-date on the challenges to the Ausable River watershed and to describe how our efforts protect and restore the health and resilience of the river and the ecosystems that depend on it. We hope to share the beauty, excitement, and incredible diversity of the river, its watershed, and our communities with an ever-widening audience. Thank you for being a member of AsRA. Your support is essential to our work. Please consider sharing this newsletter with a friend, giving a gift membership, or pointing them to our website. Members help us grow our programs and expand our impact. 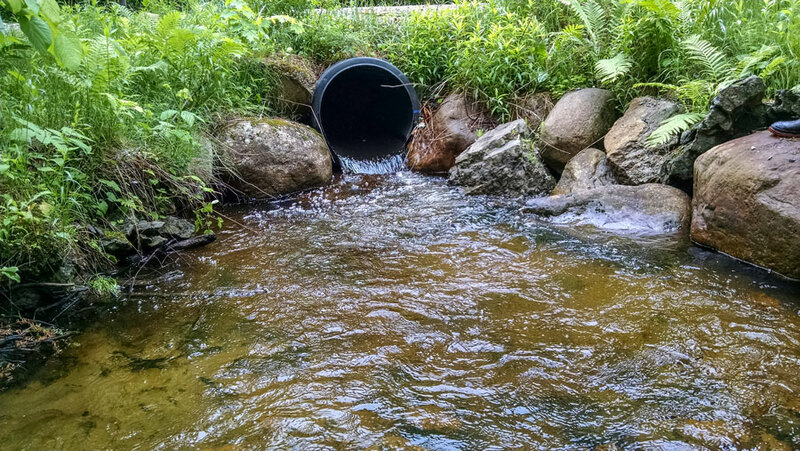 AsRA’s Executive Director, Kelley Tucker, continues working with an array of partners to replace undersized culverts on rural roads throughout the watershed. Well- designed culverts are essential to stream health and wildlife habitat. They also ensure that high stream flows pass efficiently, minimizing damage to roads, homes, businesses, and land during floods. In 2015, AsRA’s River Steward, Nicole Pionteck, spoke with hundreds of anglers, paddlers, and other river users. Her message: help us protect the Ausable River from the spread of aquatic and terrestrial invasive and nuisance species that degrade water quality, decrease habitat diversity, and impair nutrient processing. 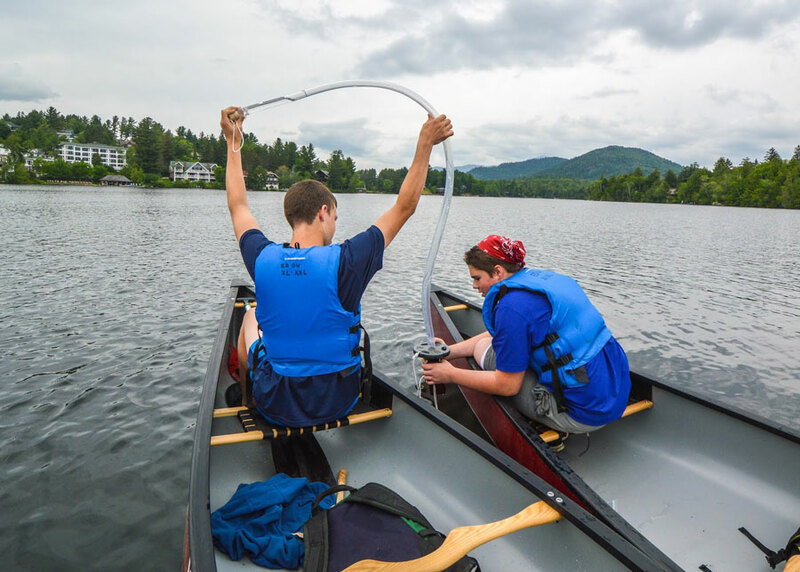 AsRA's staff , in partnership with the Adirondack Watershed Institute (AWI) of Paul Smith's College, is developing a comprehensive research and monitoring program focused on the Village of Lake Placid, specifically Mirror Lake and the Chubb River watershed. The goal is to establish a base-line monitoring program that will inform AsRA and other stakeholders and serve as the foundation for future research. 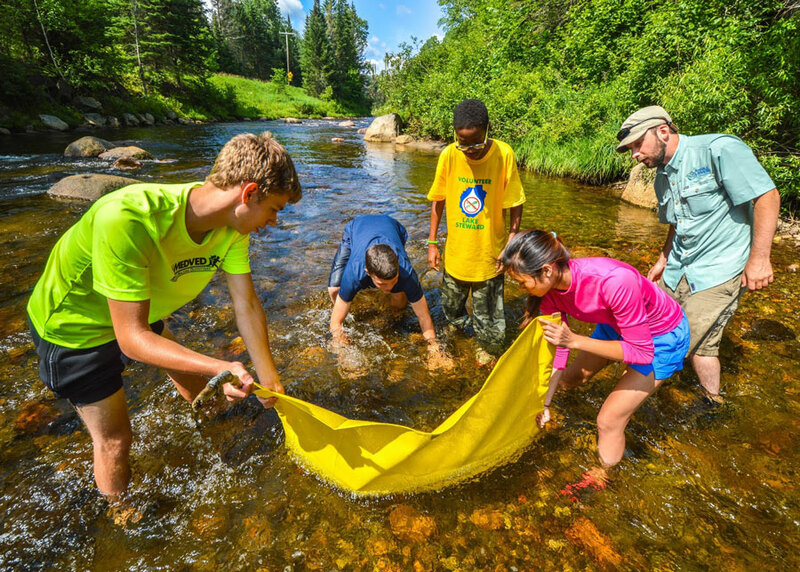 Last summer, AsRA and Adirondack Mountain Club joined forces to offer an innovative educational program for teens: Discovering the Ausable: An Aquatic Stewardship Program. Teenagers from around the region experienced wilderness camping and canoeing while learning about watershed stewardship and the aquatic sciences. Tropical Storm Irene destroyed the old wood and concrete weir at this popular East Branch beach. 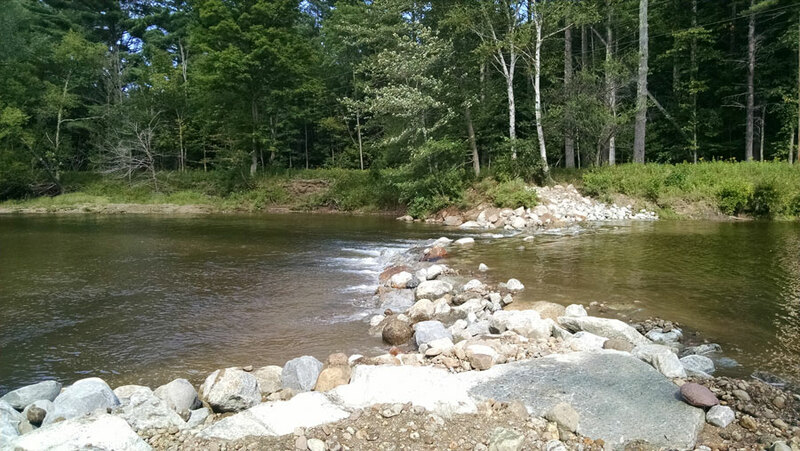 Working with the town, the Essex County Soil and Water Conservation District, Trout Unlimited, and the US Fish and Wildlife Service, AsRA designed and installed a repair using natural materials. The new weir and upstream log vane maintain the long popular swimming hole, improve water flow by moving water away from the banks - reinforcing the center channel, and create habitat for fish. This year AsRA took the Ride for the River to a new level. 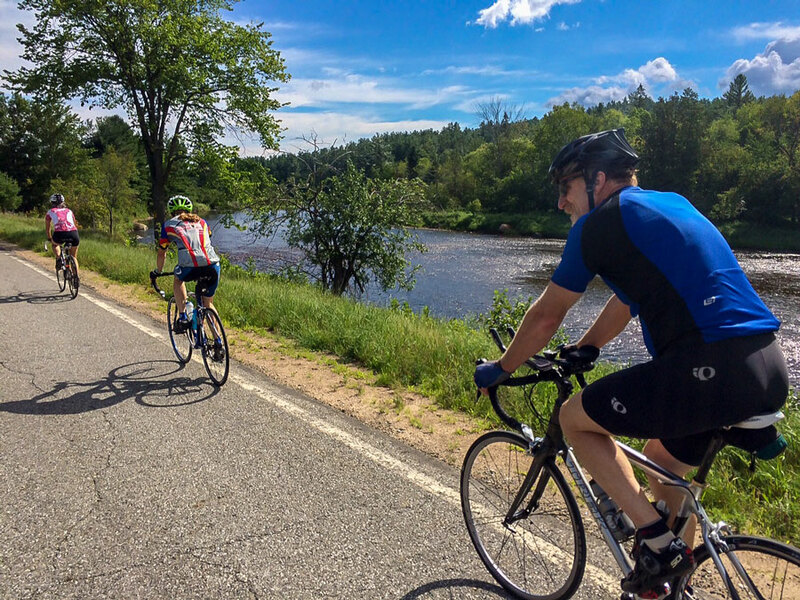 Over 80 cyclists and community members celebrated the Ausable River on a beautiful Sunday afternoon by riding along the banks and byways of the river. Afterwards, participants and others joined our after-party, listening to music from Back Porch Society, enjoying local brew from the Great Adirondack Brewery, and eating delicious food from the Hungry Trout. The 2016 Ride for the River will be Sunday, July 31st at the Hungry Trout Resort. High Peaks Cyclery has stepped up as an event sponsor and will be offering a unique gravel road tour and providing a brand new gravel road bike as a raffle prize. We rely on the support of individual members and businesses who care about the river, love its natural beauty, clean waters, the wildlife it supports, and the vibrant communities that call the Ausable watershed home. Together, we make a difference. Grant support from the Evergreen Foundation, the Cloudsplitter Foundation, and Patagonia's Environmental Grant program is vital to our sustainability. 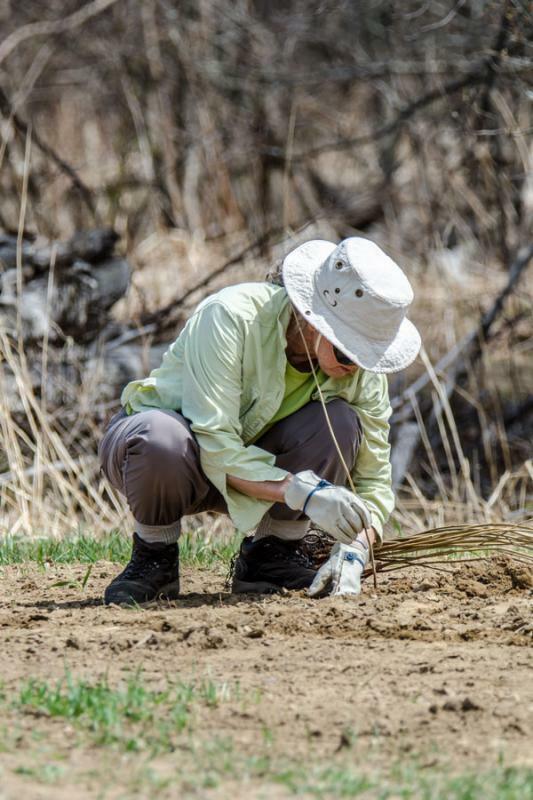 Partners like The Adirondack Chapter of The Nature Conservancy, the US Fish and Wildlife Service, Adirondack Watershed Institute and our local towns and counties donate valuable time, expertise, and funds to our partnership projects. Finally, AsRA programs greatly benefit from the ongoing support of the New York State Department of State through competitive Local Waterfront Revitalization Program grants with funding provided under Title 11 of the Environmental Protection Fund.